Bangalore: ‘Chew your food 32 times’ is one of the most common statements instilled from childhood. Although, this is essential to help digest food thus combating obesity, it can have more implications than one could imagine. For 50-year-old Debasis Bhattacharya from Kolkata eating a piece of cake soon turned into one of his biggest nightmares. 10 days back when Debasis ate a cake slice, he started feeling as if something was stuck in his throat and was experiencing pain while eating food. After undergoing an X-ray in Kolkata, the doctors found a presence of a foreign object in his food pipe. They put him on antibiotics. Since it seemed to be a complicated surgery, the doctors were reluctant to go ahead and Debasis decided to visit Columbia Asia Hospital. Since it was a neck surgery, Debasis was scared in case the surgery had any side effects and could be a risk to his life. He had an impending marriage of his only son and he tried delaying it as much as he could. "It was a choice between my life and my only son's wedding. However, after further consultation, Dr. Santosh instilled the confidence in me to undergo the surgery," added Debasis. “We advised Debasis to undergo the surgery as soon as possible as the wire had already moved to a dangerous position. If we did not operate immediately, Debasis could have health issues like infection, spread of infection to chest, breathing problems, nerve damage, etc,” added the doctor. The surgery went on for an hour where the doctor removed the wire surgically. It was a challenging surgery as it was moving in the retropharyngeal space and hence special x-rays at the time of the surgery were used to identify the location of the wire. 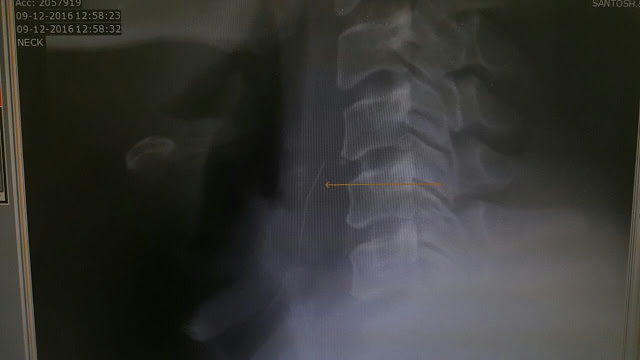 These X-rays also guided the doctor to know how far he was from reaching the wire. The wire was located between vital structures in the neck the spine behind, carotid artery on the side, with the food pipe in front. 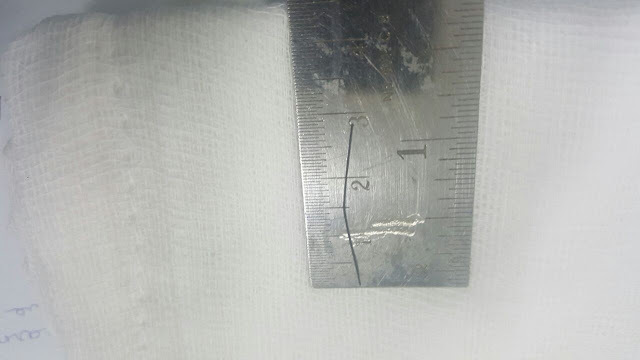 The surgery went well and a 3.5 cm metallic wire was successful removed. Debasis is doing fine and is also able to eat his food normally. He is waiting to be discharged from the hospital so that he can go ahead with his son's wedding.